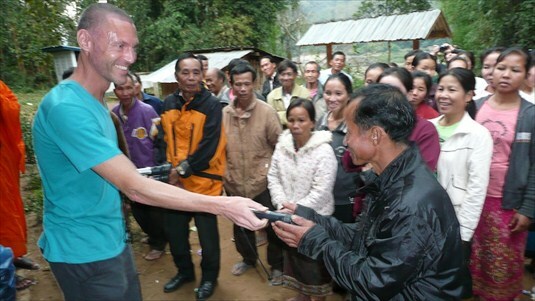 Distribution of solar lights by Michael Sebastian of the SMILE Project to monks and people in the Khokphou Village, Nga District, Oudomxal Province, Laos. 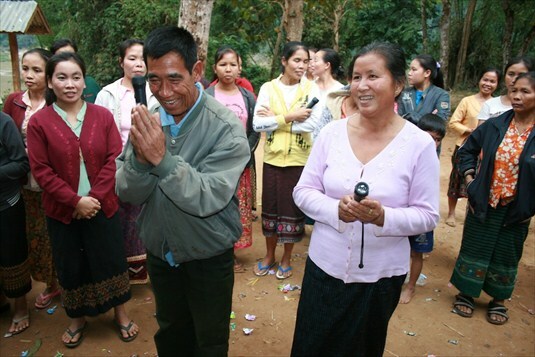 SMILE Project in Laos (wearing blue jacket in above photo). 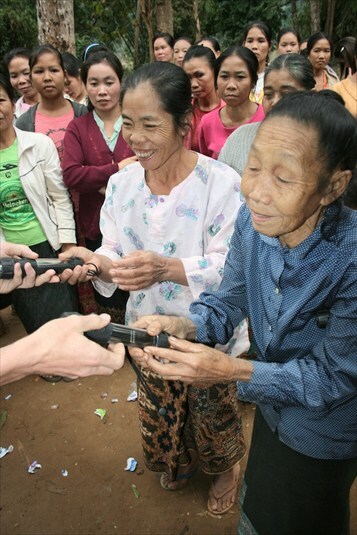 Here are photos from the donations of solar lights in Ban Khokphou, Nga District, Oudomxal Province, Lao PDR. 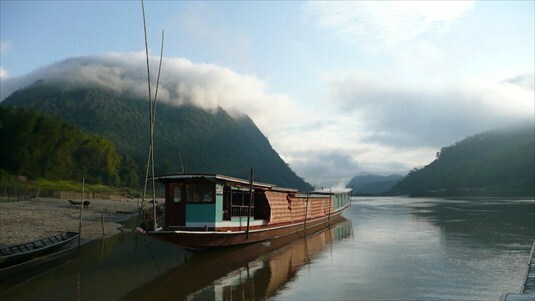 The village is 5 hours by slow boat from Luang Prabang on the Mekong River. The father of my student novice, Onkeo Sulinda, is the Nai Ban (village chief) of this village, which is one of many in Laos with no electricity. 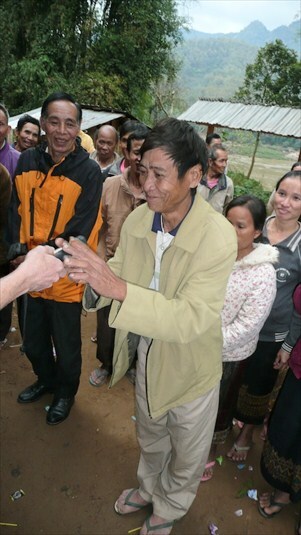 In subsequent visits to his home village, my student told me that even though I did not join him to visit his home, he felt as if I was there, because at night he saw all the villagers walking around with the flashlights we donated. In addition to flashlights for each household, donations of notebooks, pens, uniforms, and other school supplies were made so that each student at the village school received something. Teachers were given textbooks, soccer balls and other sports equipment. 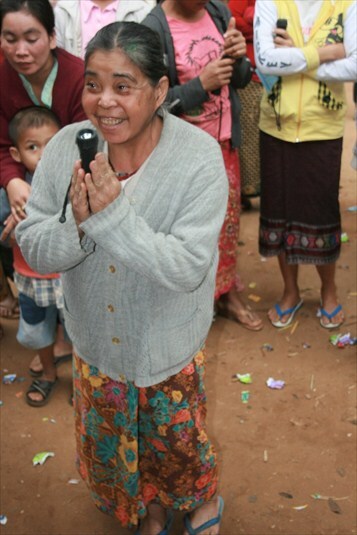 I pray that donations to SMILE Project and your Solar Light Project build enough funding to bring solar lights to other villages in Laos like this one in the future. Solar Lights Provided to Children of Ma Anandamayi Foundation, Omkareshwar, India. Village2Village Organization Providing Our Solar Lights to Orphans in Serere, Uganda, Africa.